It wasn’t too long ago that I was in Tofino. Despite it being a remote and relatively small destination, it is worth repeat visits. It’s the type of place that draws you in closer with each stay. My last few trips were fairly active, fitting in all the tried and true outdoor activities that Tofino is well known for. This time, we wanted to feed our appetite for relaxation and interesting foods (of course, superfoods). And, we did just that. It’s not the sort of food truck you’d ordinarily look at twice. 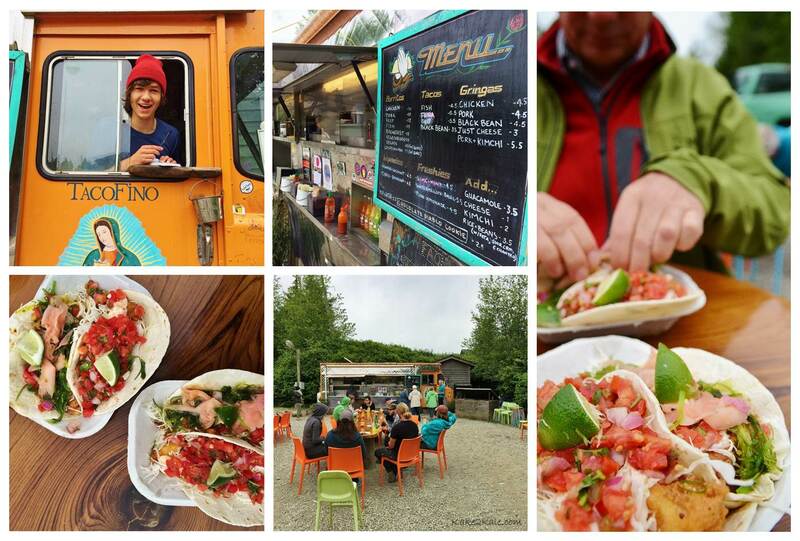 Located off the highway, in the back corner of a gravel parking lot for a hand full of shops, sits the Tacofino truck. The truck looks basic with only a painting of the Virgin de Guadalupe holding a taco. The surroundings are rustic – a couple of long tables with patio chairs. Originally a hangout for surfers and backpackers, this casual food truck has grown into a successful business with an international fan following and restaurants in Victoria and Vancouver. Their popularity owed mostly to their Baja-style fish tacos, which are considered to be the best and tastiest in British Columbia! I agree. The crispy Tempura Ling Cod fish taco (with salsa and chipotle mayo) and the Seared Albacore Tuna Ta-Taco (with ginger and seaweed) are my favourites! When the sun found the oceanfront patio of the Middle Beach Lodge, we settled into the big Adirondack chairs and inhaled the stunning views. The lodge and its cabins are tucked neatly into a quiet forest, perched on a rugged outcrop, and nestled between Middle Beach and MacKenzie Beach. Unlike many of the other ocean facing accommodation that I’ve tried in Tofino, this lodge feels like a retreat with a more peaceful and intimate setting. Its décor is West Coast charming and unpretentious. You cannot help but idle away the hours reading, relaxing or reflecting from the different ocean viewpoints on the property, including the views from our room. We loved it all. “This is my happy place”, I whispered to my spouse each night as we sat on the beach watching the sunset. With the lodge restaurant closed, we cooked a few meals and dined outdoors as the golden rays of the evening’s sun dappled our deck and the water below. It felt like we had the best dinner table in the joint! On one occasion, we sourced some freshly smoked salmon as an appetizer and local Vancouver Island scallops to make a creamy risotto. All was paired with a lovely rose. My spouse is a self-made chef and wine aficionado; therefore, our expectations are fairly high when we dine out. We wanted to have at least one dinner off property to celebrate an anniversary and we wanted the best culinary experience possible. In Tofino, two restaurants are said to be the best, these are – Pointe Restaurant at the Wickaninnish Inn (Relais & Chateaux) and Wolf in the Fog located in the quaint town of Tofino. We opted for the later and our only disappointment was not living closer to eat there more often. It is THAT good, loaded with fresh, local and creative ingredients. The title alone, Wolf in the Fog, sets the tone for an evening of creative dining. A cedar sour and Angler were our pre-dinner drinks. The sour was made from cedar infused rye, while the Angler had smoked salmon infused vodka with maple and ginger. Everything on the menu sounded crazy good and it was nearly impossible to choose. Our final choices were: a seaweed salad with Bamfield bull kelp, potato crusted Angel Wing oysters, duck with beetroot & gorgonzola lasagna, braised shortrib & spicy grilled octopus, raspberry gelato & caramelized white chocolate, and a flourless chocolate cake oddly named the Tofino Blackout 2.o! Needless to say, it was one of the more memorable meals this year. Oh, and by the way, I’ve decided that Tofino wins for the most creative locally-influenced food/beverage product names. Are you in the mood for a Kelp Stout or Spruce Tree Ale? You can find these and others craft beers at the Tofino Brewing Company. Where there’s a craft brewery, a coffee roaster can’t be far. The Tofino Coffee Roasting Company serves up three types of beans – Dark & Stormy, Old Growth Dark and Pacifica Espresso blend. To round up our edible journey around Tofino, we lunched at the Fish Store & Oyster Bar, arguably the most popular bistro in town. For something unique, this is the only restaurant that sells and serves the Clayoquot Climax oysters, grown in the beautiful Lemmen Inlet (15 minutes by boat from Tofino). They were accompanied by the in-house mignonette sauce of prosecco, infused with either jalapeno/cilantro or watermelon/ginger. These small oysters deliver a big buttery flavour, quite similar to the Kusshi varietal. If you can only have three foodie experiences in Tofino, then you can’t go wrong with the Fish Store & Oyster Bar, along with Tacofino and Wolf in the Fog! 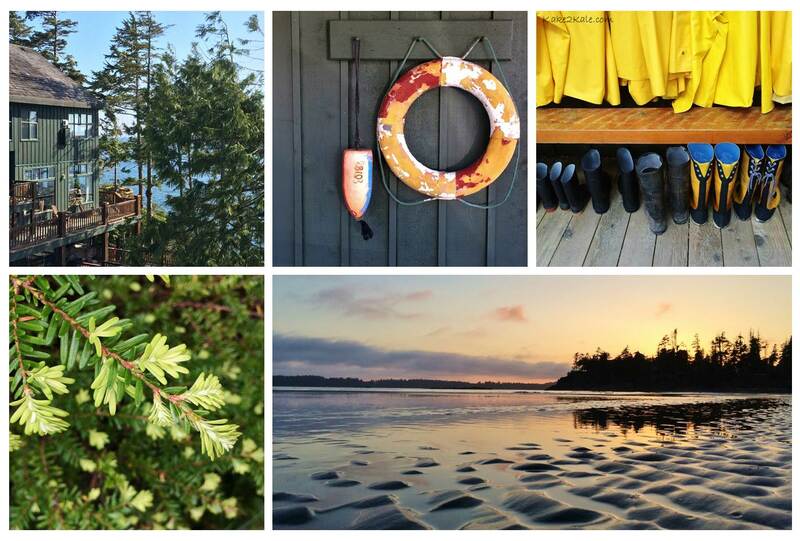 Life may be more than a beach in Tofino, but the beaches are what people invariably fall in love with. My favourite is Chesterman Beach. I find something new on every walk there. On a foggy morning, with the chilly air pinching our faces and hands, we explored Chesterman Beach at low tide and in solitude, ahead of the day’s crowds. 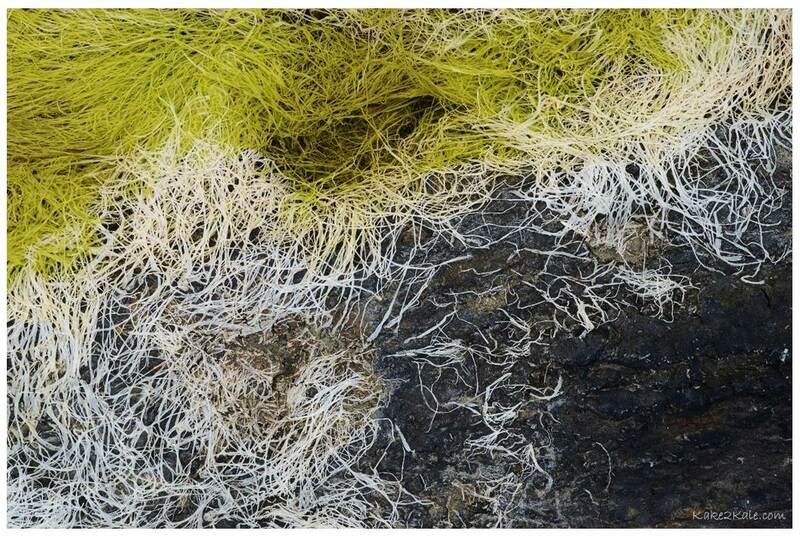 This day, we discover the most exquisite patterns of dried white and wet green algae. I likely spent an hour photographing a big patch on Frank Island. There were also beautiful sand textures, a variety of shells, sand dollars and even the remains of a car with only 4 tires slightly visible above the sand. As we both looked out to the grey horizon on the western edge of Canada, our thoughts turn to the possibility that this car crossed the great Pacific Ocean due to the last Japanese tsunami. We took a moment to be grateful for our wonderful life. The next day, when we checked out of the lodge, the same perky young girl was at the front desk. She says, “Did you enjoy your time here?” I tell her that everything was perfect and we wanted to return. She smiles and says, “There’s no better time than being on Tofino Time!” She is right. ← For the Love of Tennis!